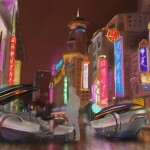 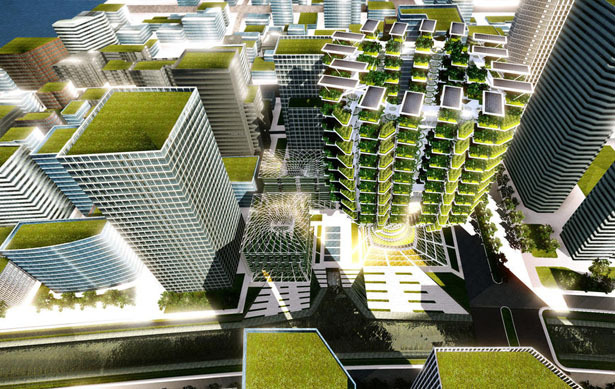 Based on recent studies, in the future, most world’s population will live in urban areas, and the total of world population will increase by about 3 billion people. 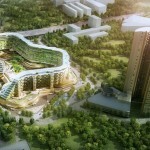 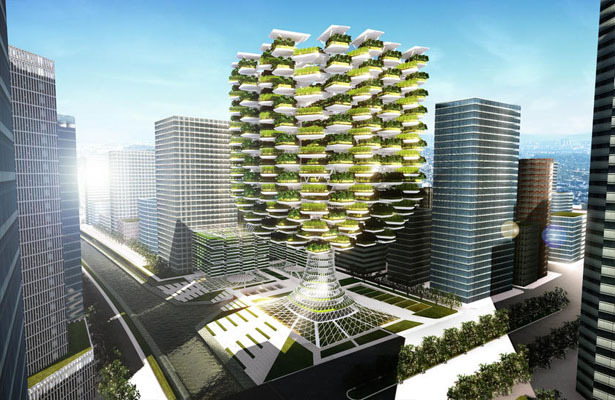 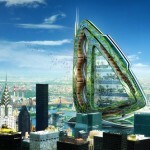 Urban Skyfarm proposal was inspired by Dr. Dickson Despommier’s concept of vertical farm, it’s a possible solution to deal with our future problems of land shortage, deforestation, and of course, environmental pollution due to over population. 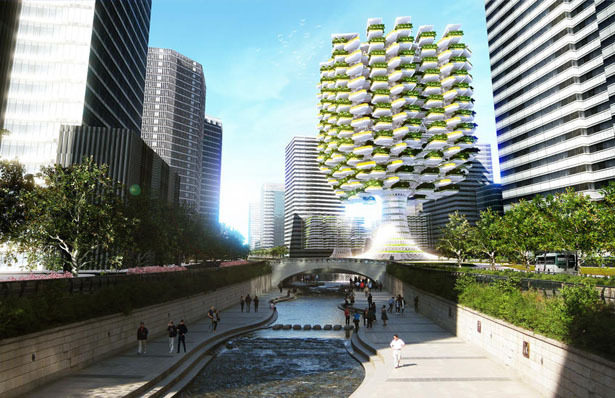 The idea here is to locate a vertical farm in downtown of Seoul, right adjacent to the Cheonggyecheon stream which is an ideal place to host local food production and distribution. 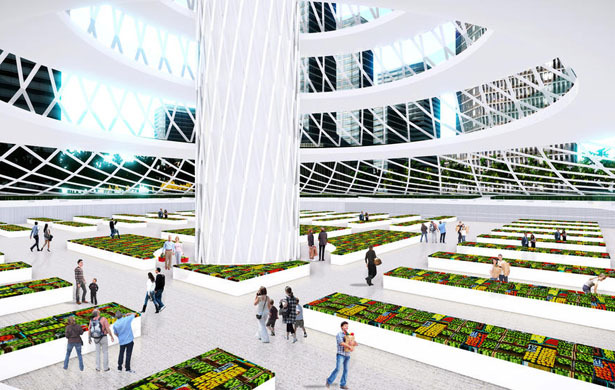 This skyfarm takes advantage of hydroponic system as substitution to soil based agricultural extensions, yet it is able to produce the same food but more efficient and healthy thanks to controlled environment (heat, light, moisture). 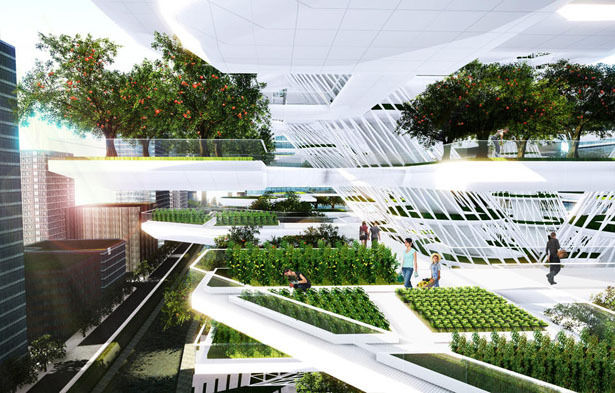 Urban Skyfarm will be a zero energy facility, it uses renewable energy produced by both solar and wind energy for the production process, including transportation and food distribution. 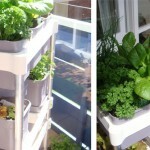 By lifting our food production high up in the air, vegetations can gain more exposure to natural sunlight and fresh air while the ground level is freed up and can enjoy the shade of the building. 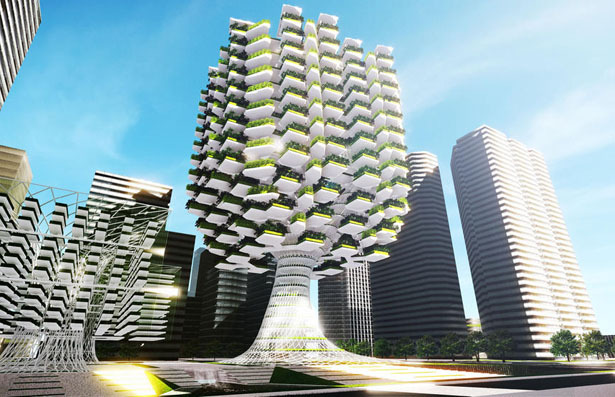 The bio mimicry of the tree form offers many structural advantages such as different light weight to diverse farming activities. 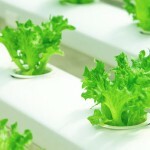 All major components of the plants from root, trunk, branch and leave have their own spatial characteristics, suitable for various farming conditions. 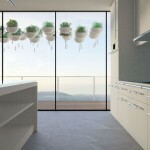 The open air, deck area, can be used for medium based vegetations while the lower areas with more controlled environments can be used for leafy productions. 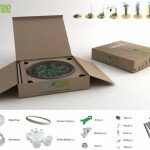 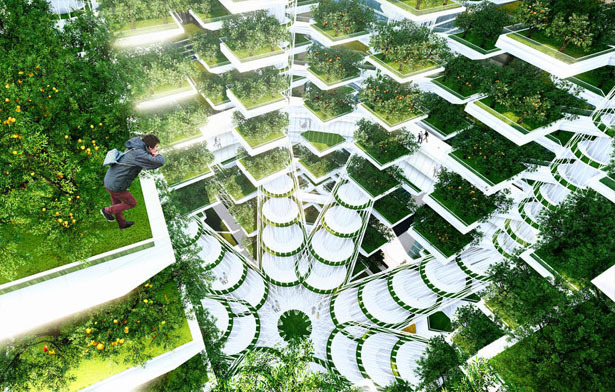 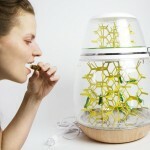 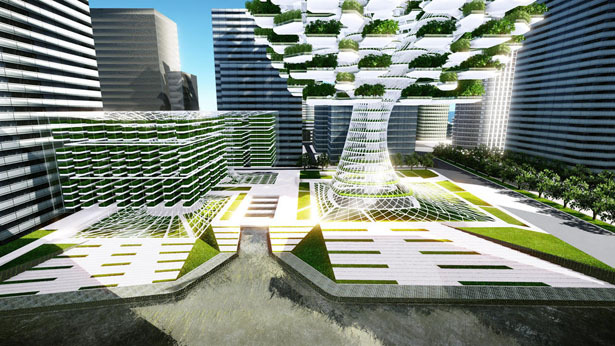 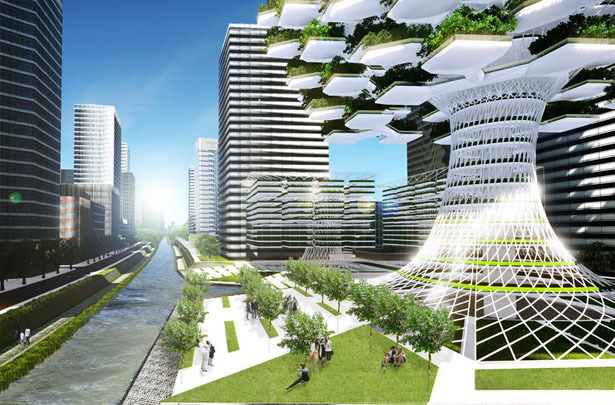 Basically Urban Skyfarm creates mini ecosystem to bring balance back to our urban community. 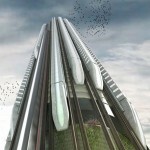 Tagged as Urban Skyfarm, world population.